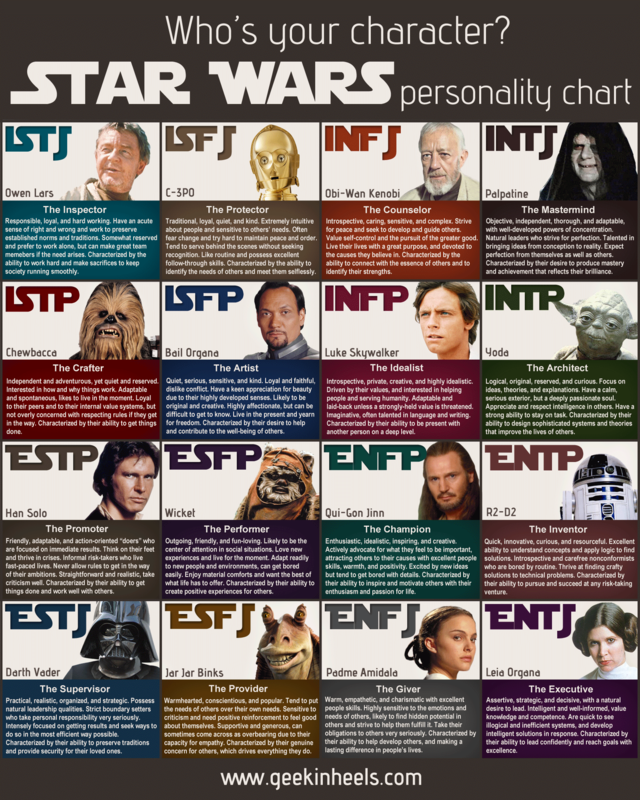 Lately I've been reading a lot of articles about the Myers-Briggs Personality Profile test. Mostly the reports ask what the value of the test is, if not calling into question the validity of Myers-Briggs in the first place. Now I agree that it is difficult to determine personality type through limited interaction, and with 4 sets of letter combinations to choose from, it can get complicated keeping everybody straight. Because of that I tend to lean more towards the four quadrant approach (Analytical, Amiable, Expressive, Driver), and there is a pretty good book out there about interacting with those people. I mentioned in a previous blog post. I am an ENTJ, you can find my type above. Now, does anyone know where I can get some cinnamon roll stereo headsets? A special thanks to Jenny at geekinheels.com for putting this together. Very well done and looks great! Attendees for the event will be the entire operation team, a note taker, and an outside impartial person. The impartial person acts as a moderator, ensuring that the conversations are beneficial, shuts-down any lines that are attacks rather than critiques, and moves the conversations forward if the topic becomes repetitive. Generally, at the end of an operation or exercise, the Officer in Charge (OIC) will run all the participants through the activities of the operation. In most cases, there is a layout of the location where the operation takes place, where everyone can look down on the field, almost from an aerial view. A map is good, but a "sandbox" is better. A "sandbox" is a physical layout of the location, in miniature. All terrain features should be represented, and models used to show the movements of the key players involved (believe it or not, toys like little green army men work great for this). Other options are PowerPoint slides with images that show movements and activities, videos, or even page by page hand-outs. in the end the visual aides need to be usable by everyone. 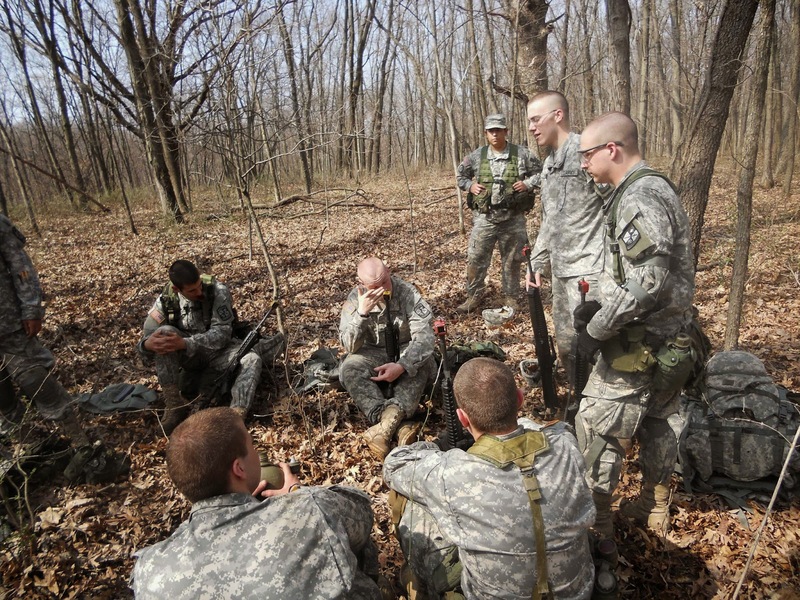 Starting from the beginning the OIC talks through each stage of the process, from form-up of the unit until the completion of the operation(s) and the movement of the personnel to the AAR site. The orientation is broken into phases for future discussion, when possible. During the run through people are able to speak up to correct the facts of the event, but will not offer critiques until the course of events are complete. 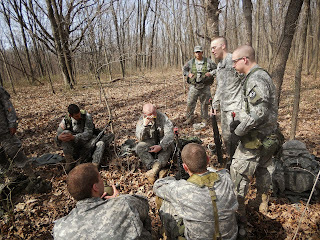 After the initial orientation and order of events, then each phase is reviewed in detail, the actions discussed. At the planning portion of the phase, some common questions are: What decisions were made? Were they appropriate? What would have been good to know when making the decisions? Were there any indicators that in hind-sight should have impacted the decision making process? Was anybody / anything ignored? What additional resources would have been helpful? During the execution / monitoring portion of the phase, some common questions are: What information became available during execution? Did it change the plan? Should it have changed the plan? What things in hind-sight were missed? Did the execution phase have the proper decisions points? What about Key Performance Indicators (KPIs)? Were the KPIs accurate? Were they correct? Should other KPIs been used? During the end of the phase, some common questions are: Where the proper resources available throughout the life of the phase? Was the objectives of the phase accomplished? Was the communication strong enough throughout the event? Overall, this is a fantastic tool, and I would encourage leaders to use this at the end of each phase of an event or project. The closer to the activities that occur, the cleaner the memories will be. Second, this needs to be an open and safe environment. All personnel should be able to discuss the events, all opinions are valid and should be explored. Do not discount something said by someone who may be immature and /or lacking in experience. 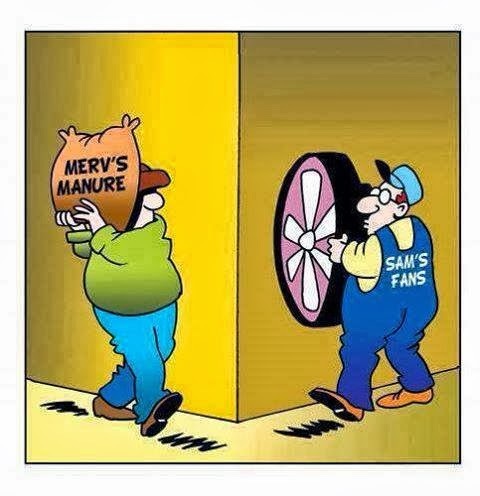 The lowest person of the team may have an insight that can prove valuable. Once the AAR is complete, the findings should be published to everyone in the company, unit, team, group, whatever. These lessons need to be shared in order to prevent repeat mistakes and to allow others to learn. A good idea would be to have a quarterly newsletter of lessons learned for the group. Finally, the contribution of everyone needs to be acknowledged. This is another role of the moderator. This person, at the close of the AAR, acknowledges the contribution of all the players, identifies a couple of key assumptions, verifies follow-up assignments and deadlines, then releases the team. In the end, the moderator and the OIC will circle back around and ensure that the assignments are complete. events, and could trip over the same hurdles. Share the knowledge and grow. Without this process, the event isn't really COMPLETE.